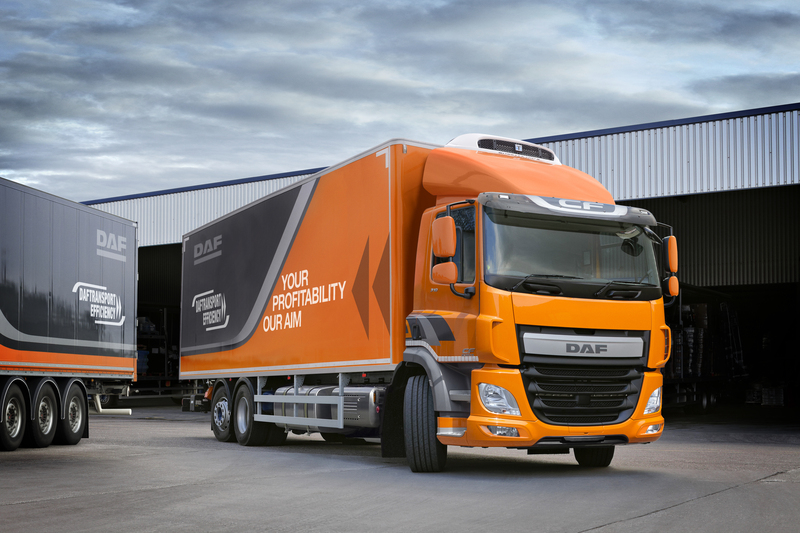 CF with PX7 engine now available with three axles - DAF Trucks N.V.
DAF now also supplies the Euro 6 CF with the PACCAR PX-7 engine in a number of models with three axles. 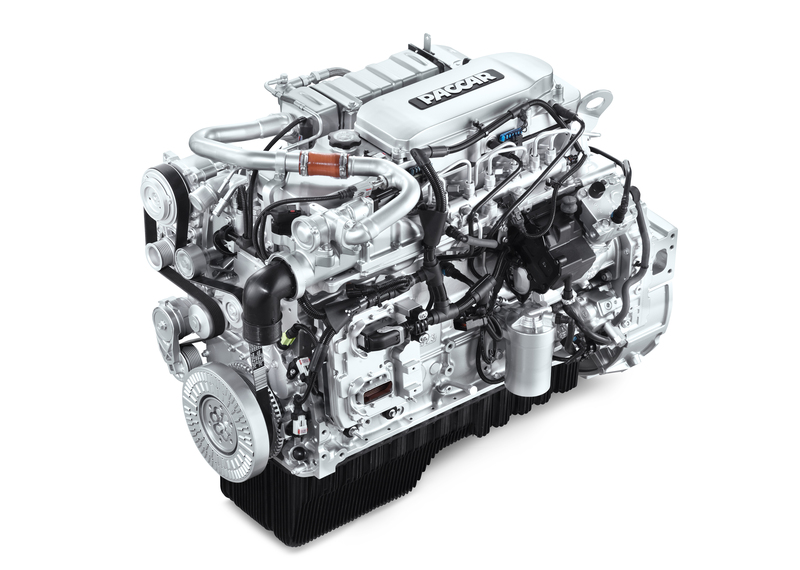 These combine a higher payload with the efficiency of the 6.7-litre six-cylinder engine. 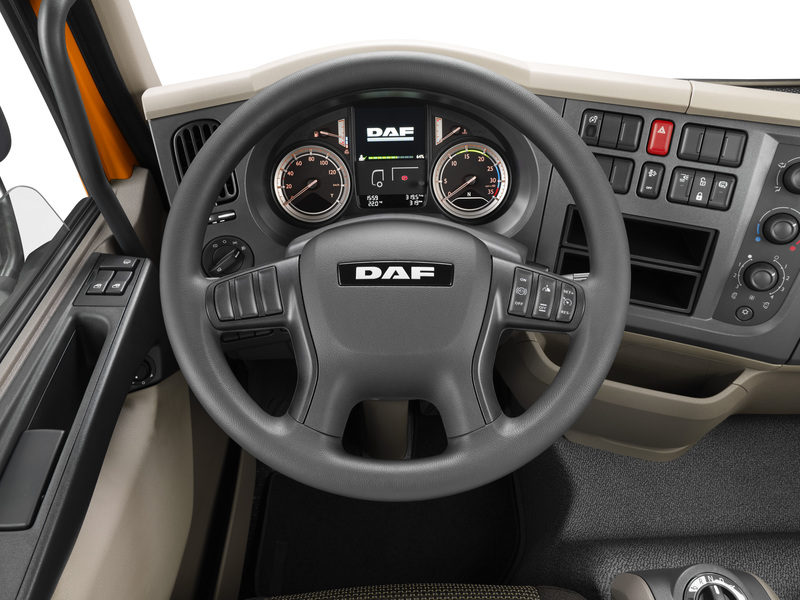 The CF range with the PACCAR PX-7 engine firstly includes a new model featuring a single mounted 7.5-tonne trailing axle behind the 13-tonne rear axle. This increases the net payload to almost 19 tonnes and allows for combined weights of up to 32 tonnes. A number of variants equipped with a dual mounted trailing axle is also available for more heavy-duty use. The new models with a trailing rear axle are ideal for more demanding applications in urban and regional distribution, including the transportation of food products, building materials, chilled goods and livestock. 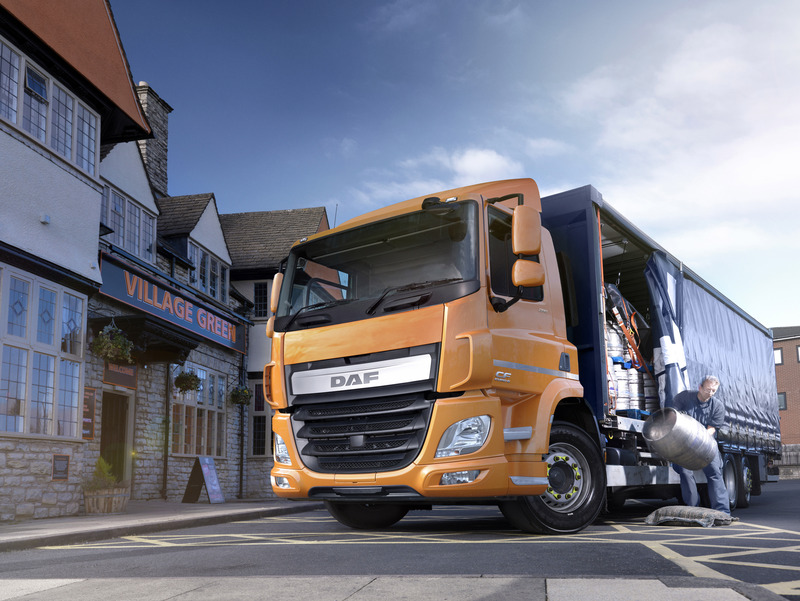 Specially designed for applications requiring a higher payload coupled with maximum manoeuvrability, DAF has now upgraded the CF with the PACCAR PX-7 engine to include a steered trailing rear axle (7.5 tonnes). This version is ideal if the truck frequently needs to manoeuvre in confined spaces. All the new models with the trailing rear axle are available with Day Cab, Sleeper Cab and Space Cab. What the new variants have in common is the 6.7-litre six-cylinder PACCAR PX-7 engine that has power ratings of 208 kW/283 hp or 231 kW/314 hp. A manual transmission with nine gears is available as standard and an AS Tronic automated 12-speed gearbox is available for an additional charge. For even higher payloads, the CF three-axle models are, of course, still available with the 10.8-litre PACCAR MX-11 engine and the 12.9-litre PACCAR MX-13 engine. Production of the new models with the PX-7 engine will start in early November but they can be ordered now.